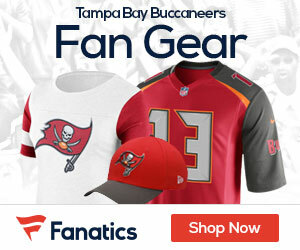 « Report: Colts release Manning, Bucs Interested? The Bucs have placed a first-round restricted free agent (RFA) tender on Michael Bennett. This means that Michael Bennett won’t be getting away too easily because any team that signs him will have to give the Bucs a first-round draft pick. I doubt this will happen, as it rarely does anyways. What this does do, however, is reinforce the fact that the Tampa Bay Bucs like Michael Bennett and his versatility and want to keep him. In 2011, Bennett had a pretty solid season, registering 40 tackles and four sacks in 14 games. Running back LeGarrette Blount, an exclusive-rights free agent, was also given a tender worth around $540,000. This was expected because the Bucs don’t want to let Blount go, but they aren’t really committed to him either. In 2011, Blount regressed and didn’t manage to rush for 1,000 yards. 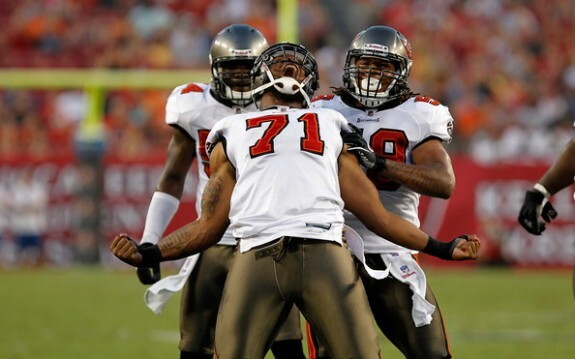 However, the Bucs aren’t giving up on him, as they still want to see what he can do.